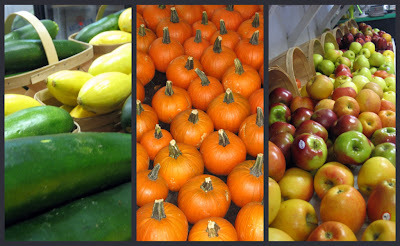 The first chilly day of October is always pumpkin day. 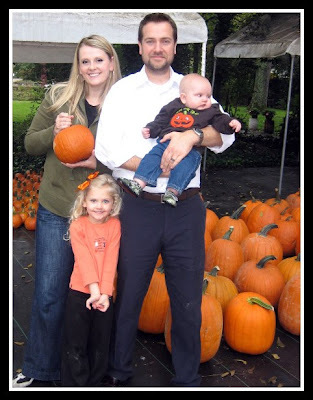 No supermarket pumpkins for this family. We hit the (overpriced) farmers market. 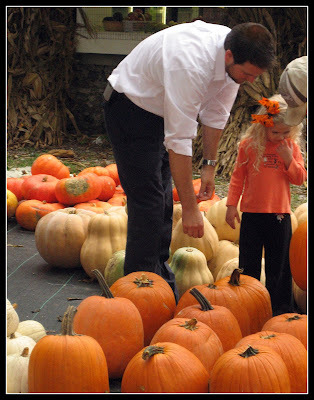 Shane has to feel the crisp air while he picks out the perfect pumpkins. If we could go to a pumpkin patch, we would - but we can't find one nearby. Shane searches desperately for one every year. Did I mention this is serious business? To Shane. Not me. I think a pumpkin is a pumpkin. It would seem like the pumpkin bug passed on from father to daughter. And from father to son. I love my Halloween loving family. I love those pictures! 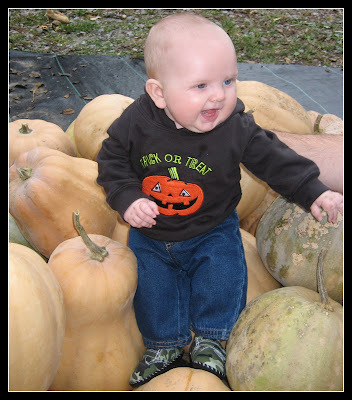 We are going to the pumkin patch this weekend and I'm so excited for it! I love fall stuff! You look pretty in that family picture natalie. I'm with you though... a pumpkin is a pumpkin, and so not worth the money! I can't wait to go! Probably next weekend. Love the pictures...beautiful family! 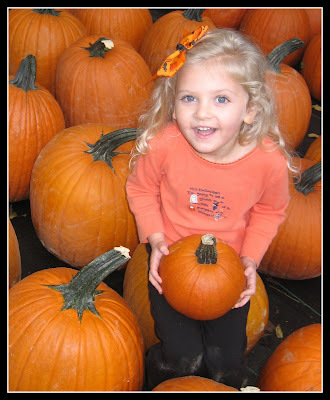 Very cute tradition but I am with you a pumpkin is a pumpkin and I am always searching for the CHEAPEST! lol Happy Fall! You do have a good looking family. You always dress you family so well. Lydia's hair is gorgeous!! Jesse and I are moving to Spokane sooner or later. Too bad you're not still there. Doesn't Greenbluff have a good pumpkin patch? What a sweet picture!! I LOVE this time of year. Amy - I think there is a patch at Greenbluff. I love spokane. 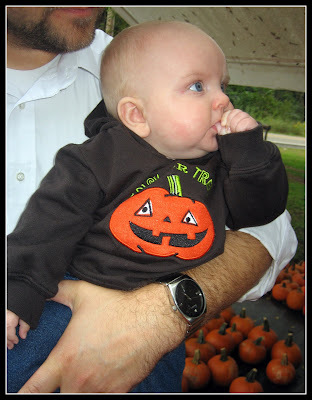 I can't believe you don't have a pumpkin patch near you!!!! Honestly it shocks me. We have so many it never occurred to me that someone might now. I thought they set up EVERYWHERE!!! At least you have a farmers market. Love it!! Wish we could pumpkin pick together. We are going to the pumpkin patch farm this weekend. We will send punk'n patch vibes to Shane and hope it fills the void.